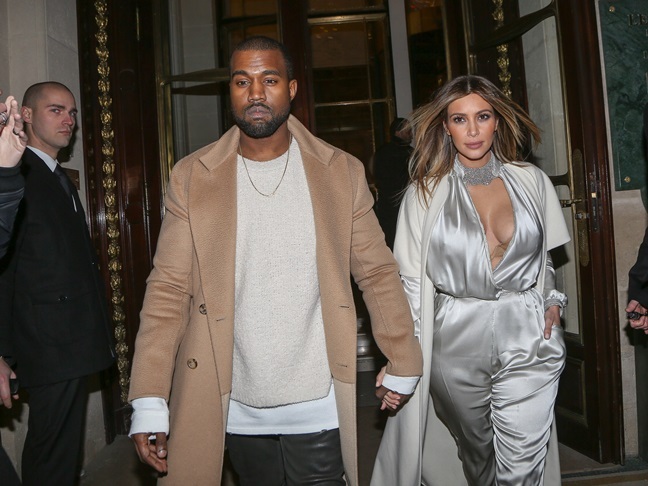 Kim Kardashian and Kanye West spent a week in Paris so they could attend a number of Paris Fashion Week events. Kim showed off several interesting wardrobe changes throughout the week. They arrived home and immediately were spotted out shopping with their daughter North, who stayed in L.A. while they were gone. Last night Kim stopped by the Jimmy Kimmel Live show to chat about the debut of season 9 of her reality show Keeping Up With the Kardashians. I have a feeling there will be a huge promotional push over the next few weeks since the show's numbers for the first two episodes of the new season were at an all time low. Ratings aside, Kim wore a pink two piece ensemble for her interview. This used to be a one piece dress by Dior, but Kim has been favoring the crop top look as of late and had her style team chop the dress! What do you think of the outcome? During the interview Kim confirmed that she and Kanye are hoping to hold their wedding in Paris this summer. In other Kim news, she shared a new photo of her daughter North enjoying some one-on-one time with cousin Penelope Disick (Kourtney Kardashian's daughter). 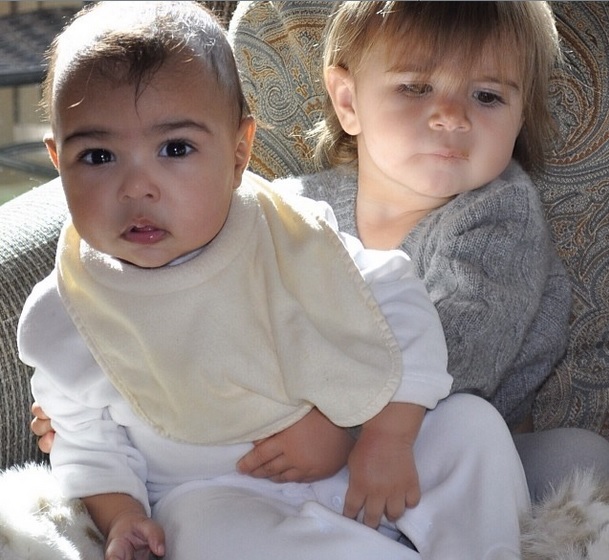 Penelope looks like she could be Mason's twin!